The world of music waits for no one, let alone college students on winter break. Here is a brief rundown of highly anticipated albums released earlier this month that were too good — or bad — to ignore. South Carolina artist Chazwick Bundick, also known as Toro Y Moi, released his third album “Anything in Return” on Jan. 22. A fresh blend of electronic and poppy funk, Bundick’s latest effort features echoed vocals, layered synths and tight percussion, which together create a colorful sonic palette. The upbeat mix flows easily, with the artist choosing aggressive-sounding’ material to start and finish the album while filling the middle with decidedly more relaxed songs. Although the album could have been anchored with more focused, crisp tracks like “Studies,” the overall result is solid. After a reported $3 million deal with Sony, A$AP Rocky has made a strong return on the investment. One highly acclaimed mixtape and aggressive compilation disc later, we finally have Rocky’s long-delayed debut album, “Long. Live. A$AP.” The album’s strength comes from the rapper’s experimentation, and a lush production enhances Rocky’s impressively varied flows. Virtually everyone prominent in the rap genre is featured on “Long. Live. 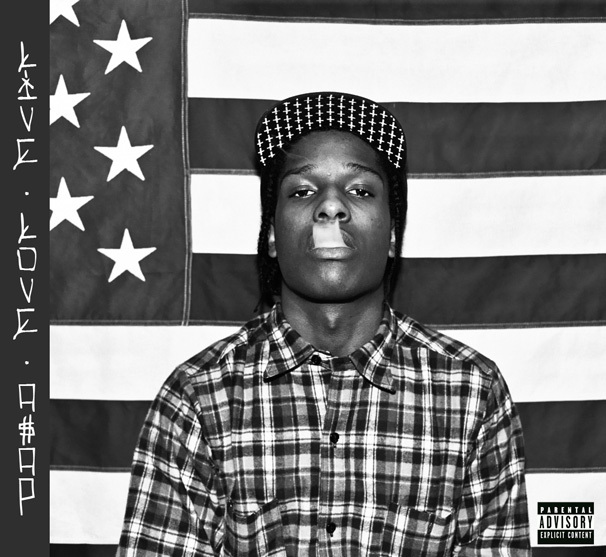 A$AP,” and Rocky extends the olive branch to other styles as well. However, the rapper’s lyrics still need work, and at 16 songs the disc includes plenty of filler, despite being a strong and interesting project. Ra Ra Riot’s third album “Beta Love” marks a new electronic phase for the group as they transition from an orchestral alt-rock band. Synthetic drum kits and upbeat keyboards loop while the sometimes falsetto, sometimes auto-tuned voice of Wes Miles croons in the foreground. At the same time, there isn’t enough sonic subtlety for each element to coalesce — vocals, percussion and synth all fight for prominence. The album’s best moments are when softer guitar riffs blend with the group’s trademark classical strings, but these moments are few and far between. After their 2011 self-titled debut, Brooklyn indie rock group Widowspeak is back with a substantial sophomore effort, “Almanac.” Mellow guitars and restrained drums mix elegantly with singer Molly Hamilton’s smoky voice, and guitarist Robert Earl Thomas deftly incorporates western, southern and modern rock influences. A compelling nostalgic quality permeates “Almanac,” as well as an underlying ambitious nature. “We can never, stay forever,” sings Hamilton in standout track “Ballad of the Golden Hour.” Widowspeak’s latest effort succeeds through utilizing modern and vintage influences, and with a little more lyrical and sonic focus, the band could go very far. Can’t help but be impressed with your knowledge and style.